The Tiber is race bred geometry in an all-season, all-roads platform. Comes equipped with 47c tires with room for fenders. 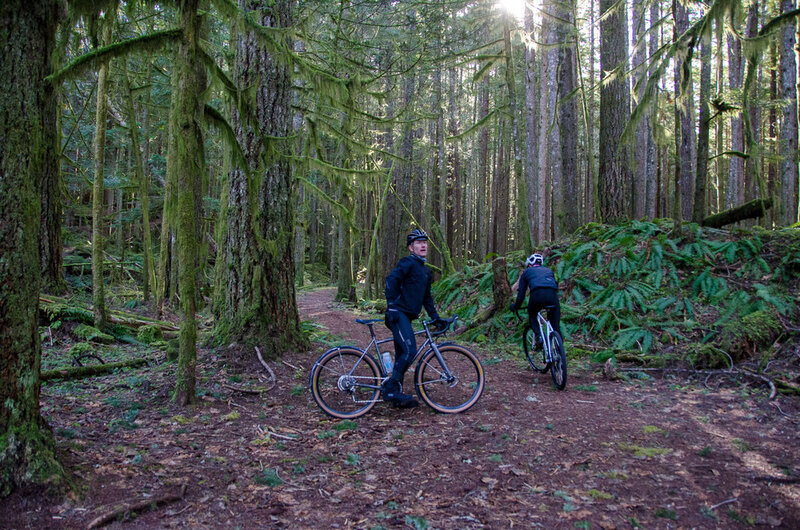 With the performance Shimano drivetrain and hydraulic disc brakes, you can conquer a Pacific Northwest winter, or ride an Ontario Spring Classic. From pavement to pavé, don’t stop just because the road does. Ride all day, any day, anywhere. We at Brodie Bikes believe in Road Plus. These bikes are truly the do anything go anywhere one quiver bike. Road Plus adds versatility, safety and comfort opening up the ability to explore the destinations less traveled. Adventure Road, Gravel Adventure , choose your own path wherever it takes you. 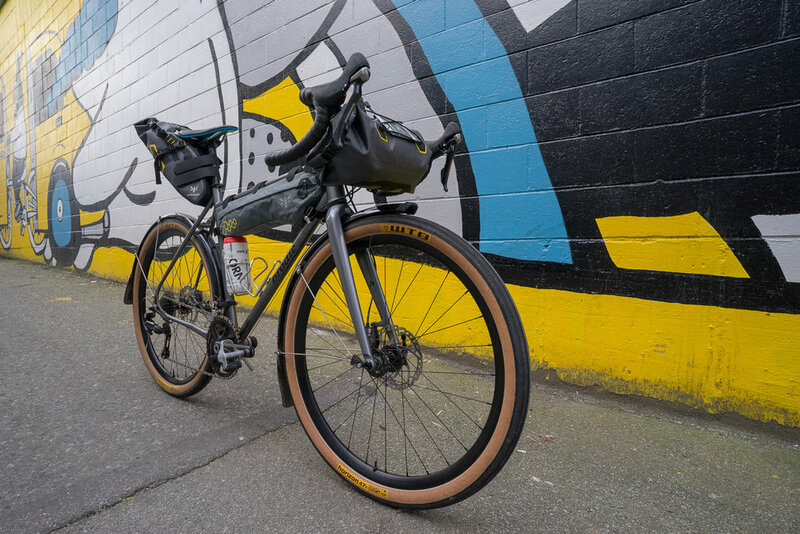 The Tiber is for performance seeking adventurers who love smooth fast road rides, long gravel rides or dirt track touring. The Tiber is for Year round cyclists with a wide list of disciplines; fitness, bike-packing, touring, commuting, club rides, racing. Great for Spring classics. The Tiber comes equipped with WTB HORIZON TCS 47c 650b tires mounted onto A-Class VXD-4 Tubeless Ready wheel-set . 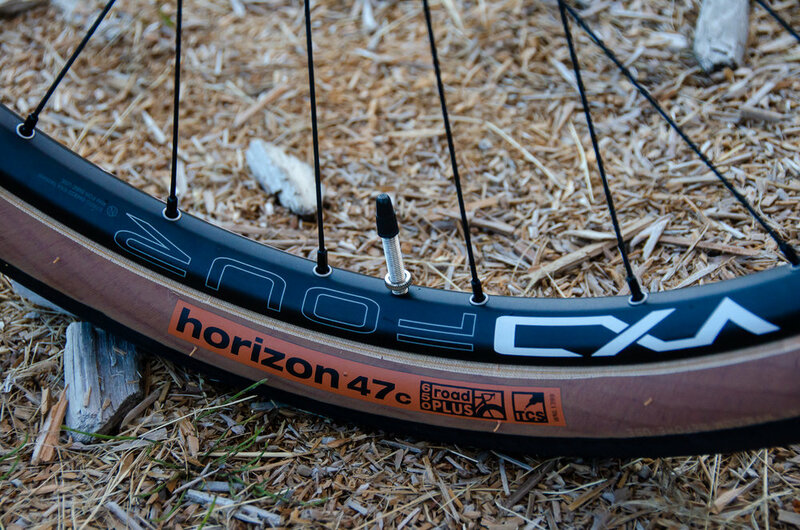 This bike is fast, the 47c tires give up nothing in terms of rolling resistance yet add incredible amounts of traction and improve puncture resistance. The extra volume lets you easily adjust air pressures for your riding styles. 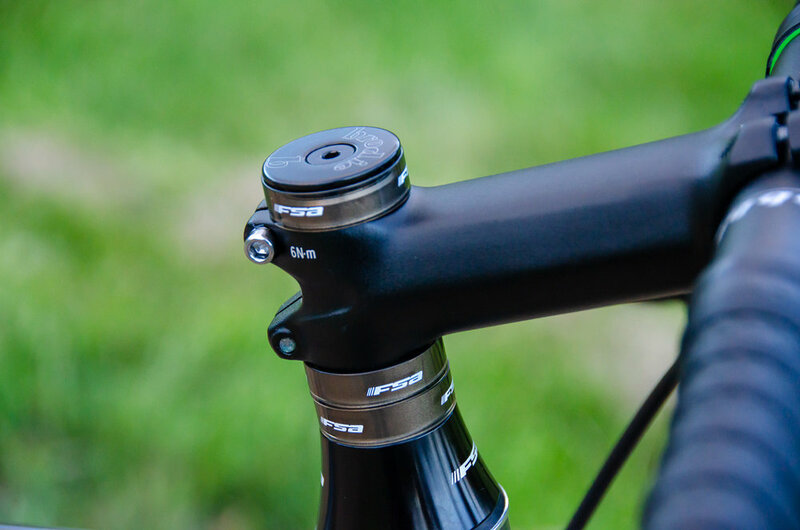 ROAD+ designed 4130 CroMo Steel double butted frame featuring 650b x 47c capable geometry matched with a lighter Carbon Fork in a 44mm head tube and a front Thru Axle, all for added stiffness and performance. The Tiber comes with Shimano 105 11-Speed drivetrain and hydraulic disc brakes. 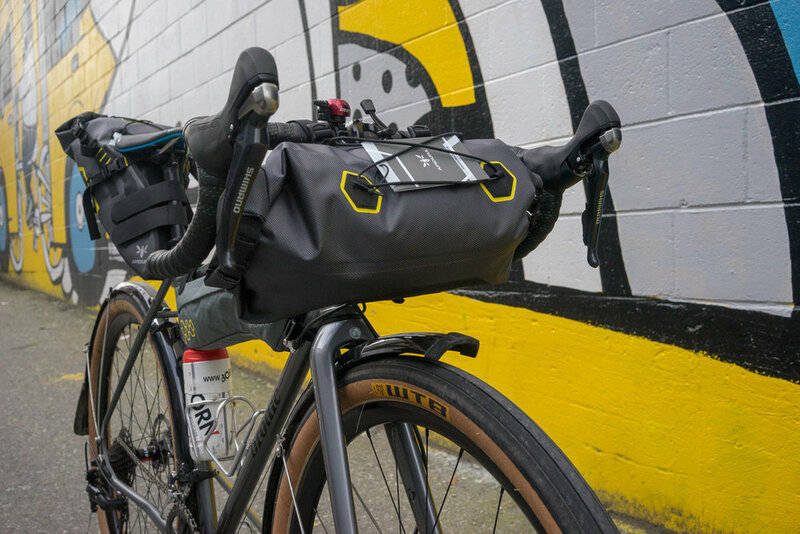 The frame is fender and rack mount ready so you turn this into your all weather daily commuter or load it up into your weekend bike-packing adventure machine. Shimano 2X11 drivetrain provides security knowing your drivetrain will perform at its best without compromise and ease of maintenance and serviceability, Shimano replacement parts are easy to get from any bike shop. The Shimano compact 50/34T crankset paired with a an 11-32 tooth 11 speed cassette gives you an evenly spaced full range of gearing for fast road rides or to tackle any hill. 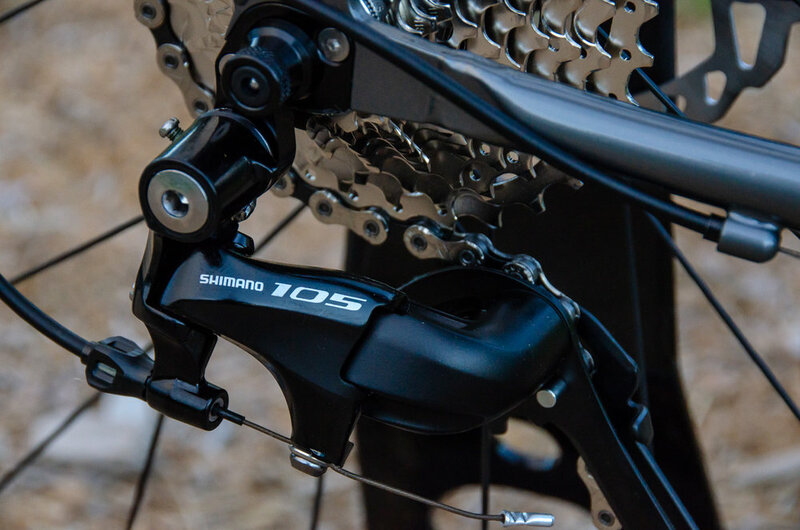 Shimano 105 shifters / brake levers have all day comfort and offer precision control over the Shimano 105 front and rear derailleurs. Maximum stopping power in any condition and any road surface come from the Shimano Ultegra Hydraulic calipers.